What Might Netanyahu’s Quitting from Politics Change? For the first time in Israel’s political history the current head of government has been indicted for criminal offenses. The fact that this is taking place on the eve of an election is also unprecedented. According to current law, Netanyahu may remain in office until the Supreme Court rejects his appeal. Formally, Netanyahu faces no immediate threat. There is little chance that he will decide not to take part in the forthcoming election. The Arab-Israeli settlement process is a misnomer in some ways. What kind of settlement are we talking about? Between Palestine and Israel, Syria and Israel or Lebanon and Israel? As for Syria and Lebanon, the term "settlement" does not apply to either of them if only because a civil war is on in Syria and its future is in question, while Shia Hezbollah, which doesn’t even recognize Israel’s right to existence, is playing a big role in Lebanese politics. Considering the prospects of the Palestinian-Israeli settlement process, much will depend on who will head the next Israeli government if Netanyahu departs or his party loses the election. I think in this case, the best chances belong to the alliance of the two retired chiefs of the general staff of the Israeli Defense Forces, generals Moshe Yaalon and Benny Gantz, and Yesh Atid party leader Yair Lapid. Israel’s history shows that former generals have much greater ability to make deals than their civilian colleagues. In this context, it is quite possible to expect a renewed push to settle the Palestinian-Israeli conflict that has dragged on for decades. The left is unlikely to come to power in Israel in the near future, not least because they are unable to put forward prominent leaders. However, it takes two to tango, and Palestine has not put forward a real partner. The Palestinians are still unable to overcome dissension in their own ranks, which was graphically illustrated by the latest in their regular rounds of talks hosted by the RAS Institute of Oriental Studies in Moscow. The effect of Donald Trump’s hypothetical Middle East peace plan cannot be discounted yet either. Its release could shake things up in both the Israeli election campaign and the Palestine-Israeli track. It should not be forgotten that there are countries in the Arab world that still do not have official relations with Israel, though they are actively pursuing rapprochement with Israel in view of their shared fear of and desire to resist Iran. I’m referring to the Persian Gulf monarchies. I believe that regardless of who leads Israel, the Jewish state will work hard to consolidate this trend. The substantial financial resources of these states may be used to exert pressure on Palestinians with a view to moving the process in a positive direction, which is so desperately needed. The advantage of the current Israeli prime minister lies in his personal relationships with the leaders of two world powers – Russia and the US. At the same time, Israel-US relations have such a broad foundation that a change in the leaders of these two countries will have limited influence on the general dynamics of their bilateral cooperation. The situation on the Russia-Israel track is somewhat different. There are hardly any actors in the Israeli political establishment that reject Russia’s growing role in the Middle East. Owing to this fact, Israeli leaders are convinced of the need to maintain continuous dialogue with Russia, especially on national security. On the whole, Russia also considers Israel to be a reliable and promising partner. However, our relations are still quite fragile. The slightest incident could deal a serious blow to them. Weakly developed trade and economic relations make it impossible to talk about a solid foundation of bilateral cooperation. It seems that the political elites of the two countries have not yet learned to really trust each other and perceive their partners more as representatives of opposing camps. Therefore, I would describe Russia-Israel cooperation as cautiously tactical. At the same time, the elites of both countries understand that there is considerable potential in bilateral cooperation, which may be used under certain circumstances. However, a change of Israeli prime minister at this point will make our relations less overtly positive, and the level of criticism will increase. That said, the necessary level of dialogue will be preserved for pragmatic reasons. 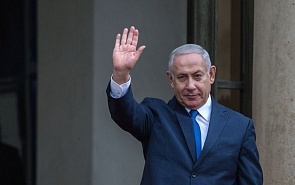 So, even if Benjamin Netanyahu departs from the Israeli political scene, there is little reason to expect changes in the policy of the new leadership both as regards the Middle East and Russia. At the same time, renewed activity on the Palestinian-Israeli track is quite possible.